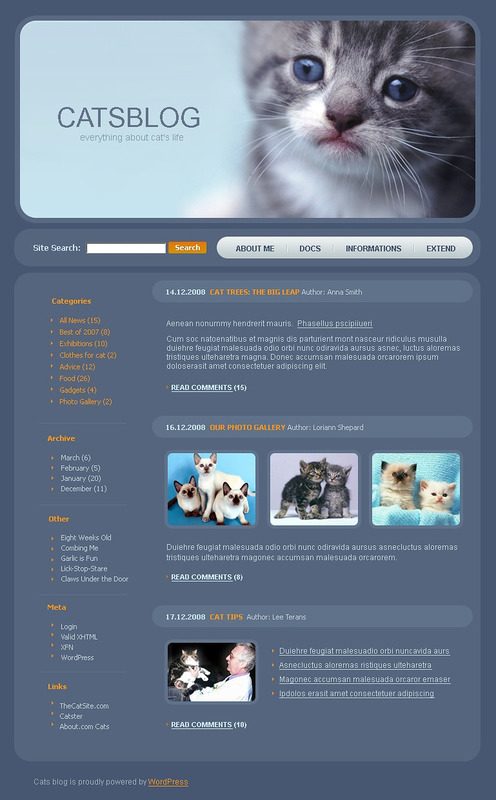 You adore animals, right? 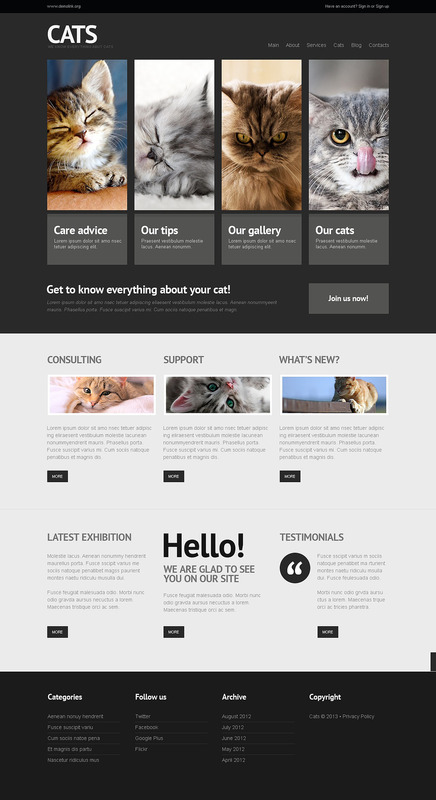 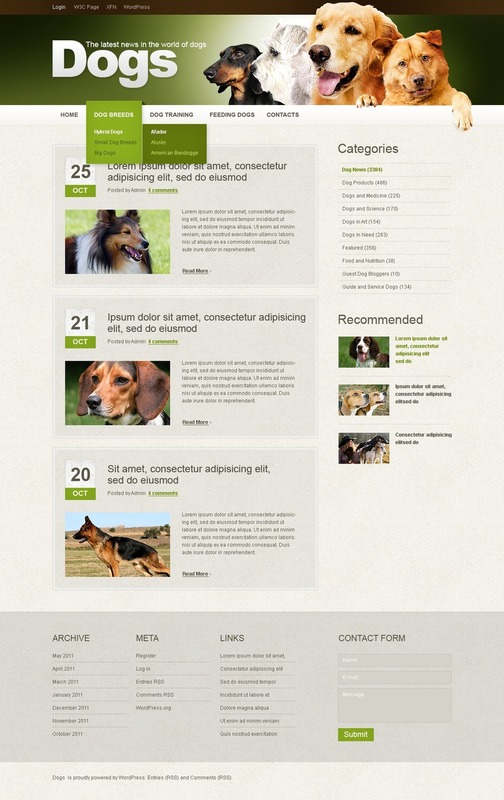 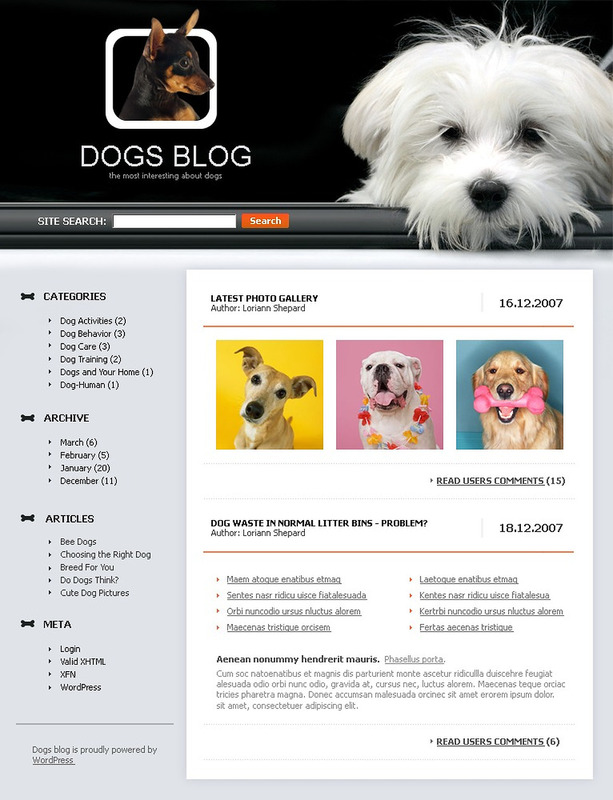 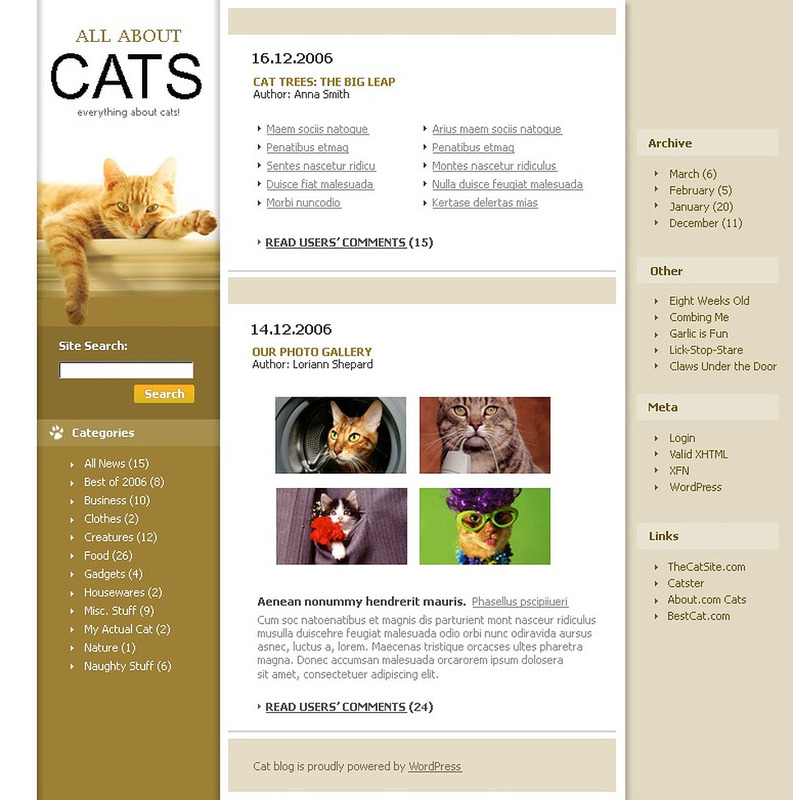 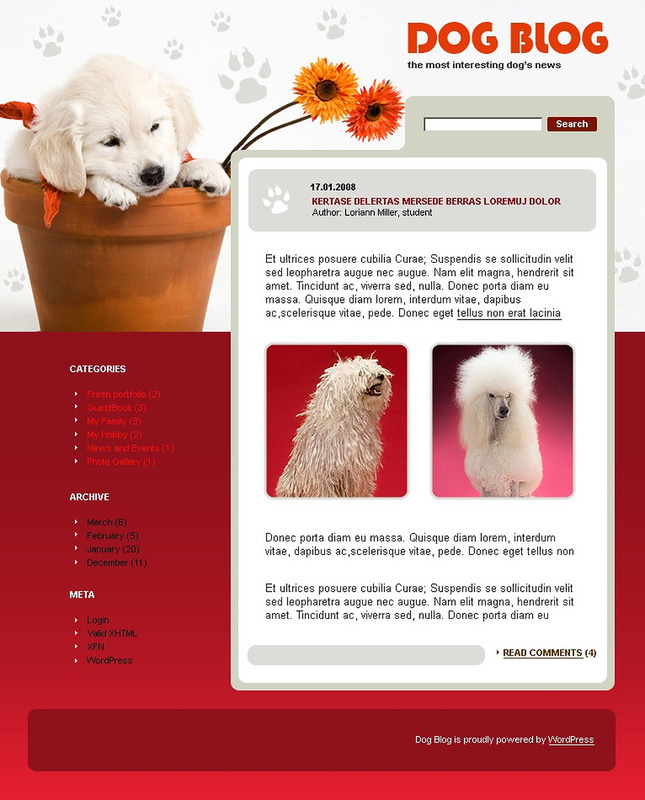 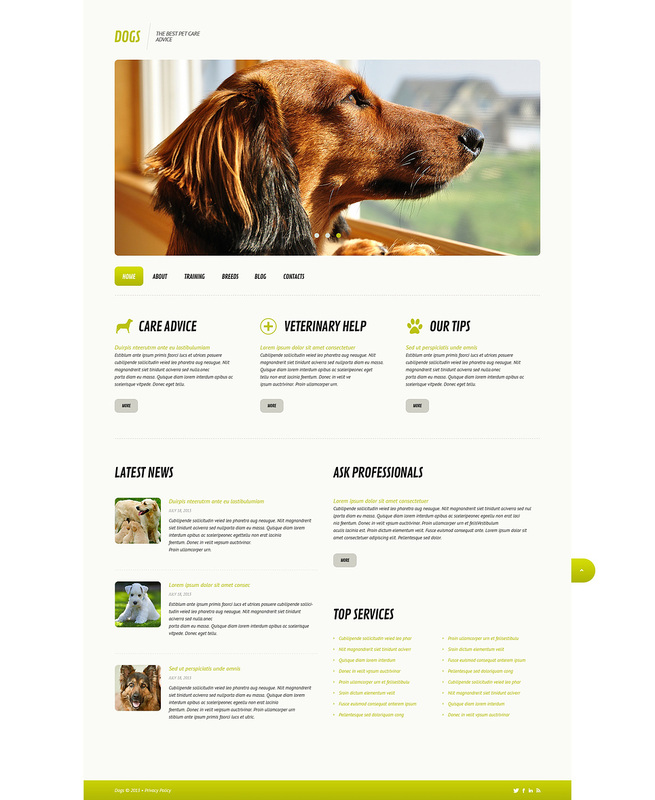 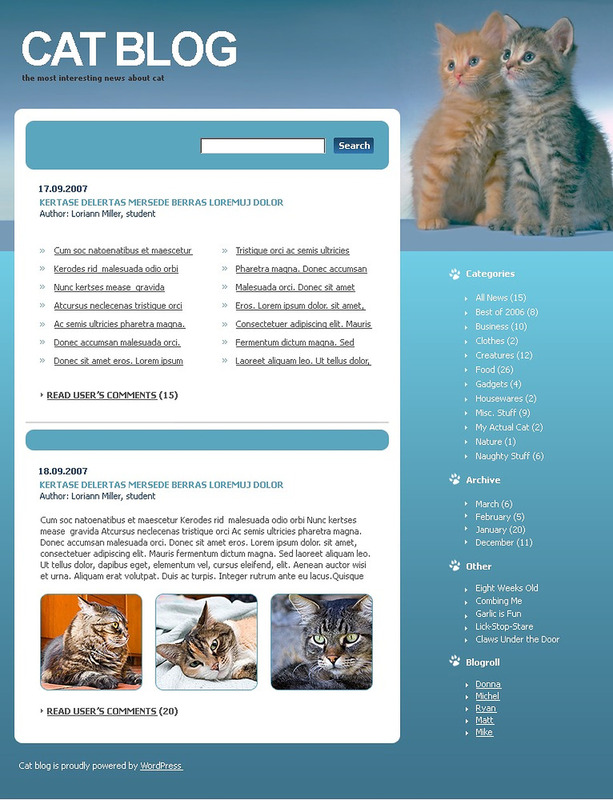 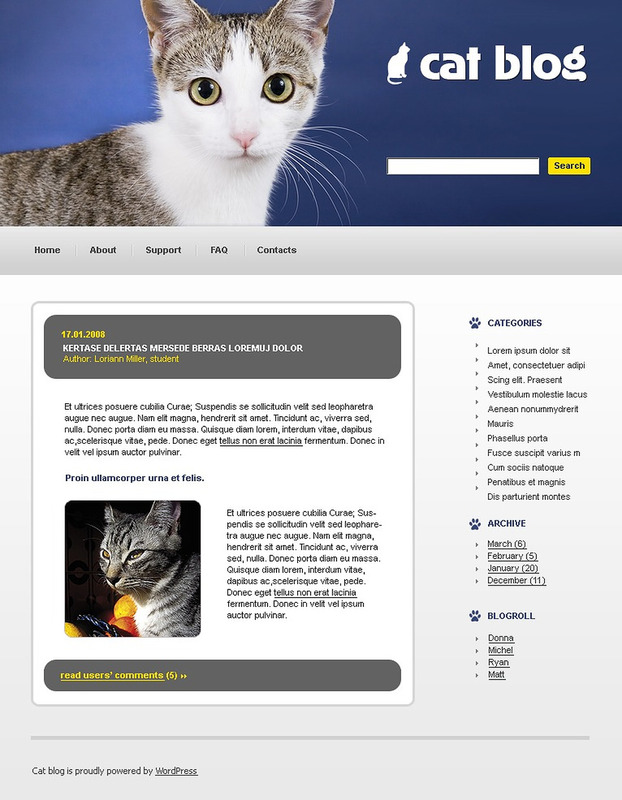 But what kind of WordPress theme is going to suit your tastes as a pet lover? 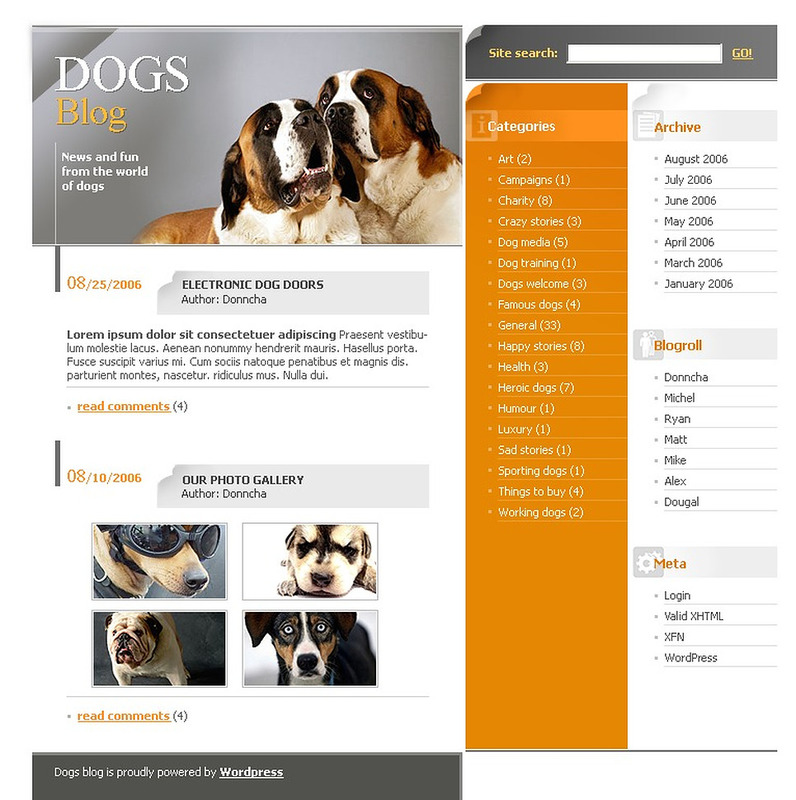 Pet’s take up such a large part of our lives and in many ways it is only natural that we should dedicate a blog or a website to them. 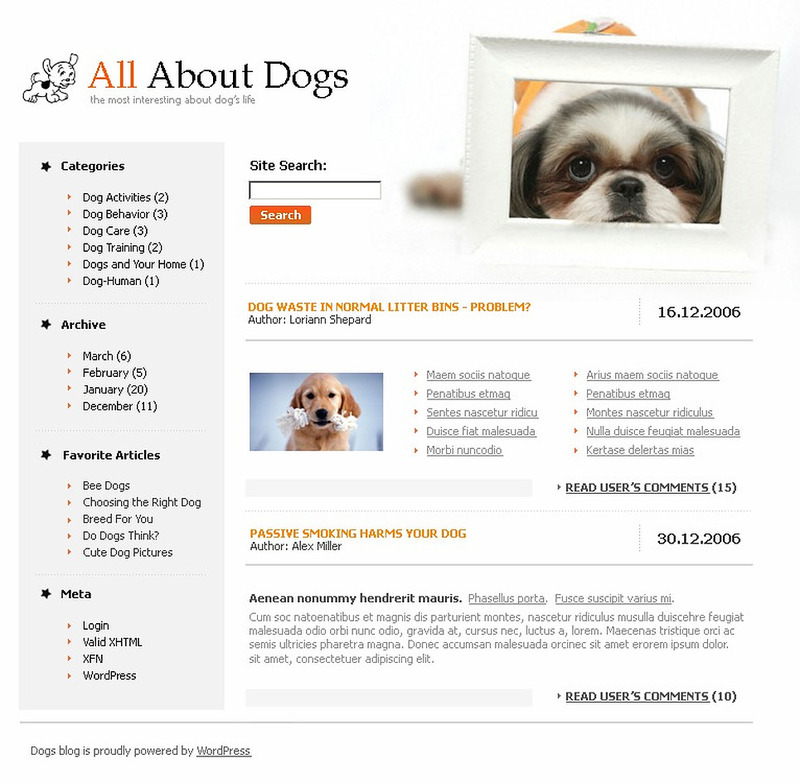 After all they are part of the family and there are many stories and interesting posts that can be created around our pets. 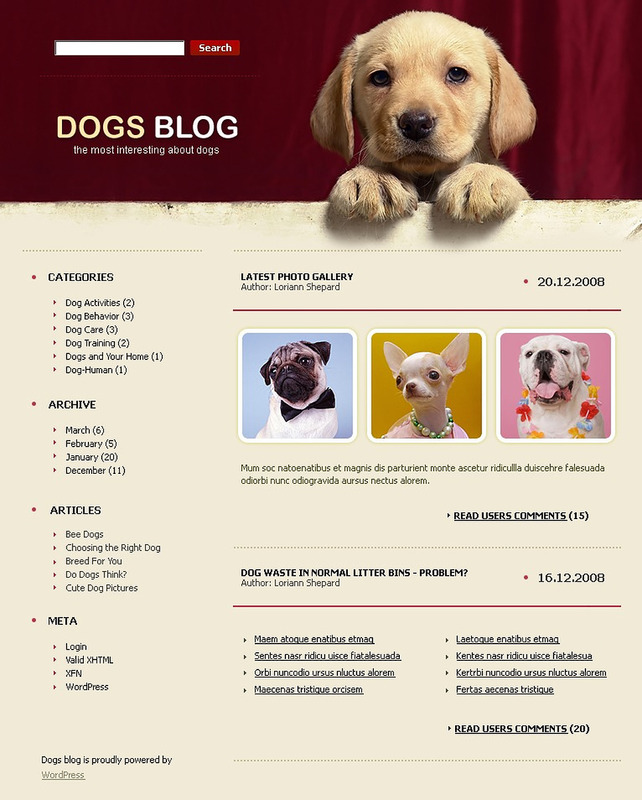 That being said, not all pet themes need to be centered around a personal blog and animal themed sites, whether they are for fun or for more serious matters such as a rescue center, you can make use of the themes from Template Monster that are compiled here. 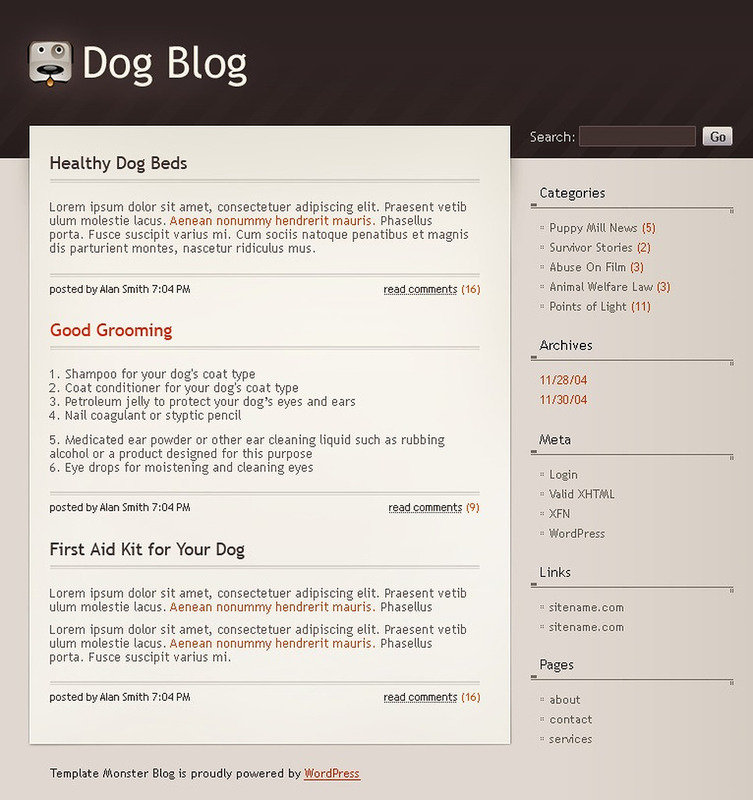 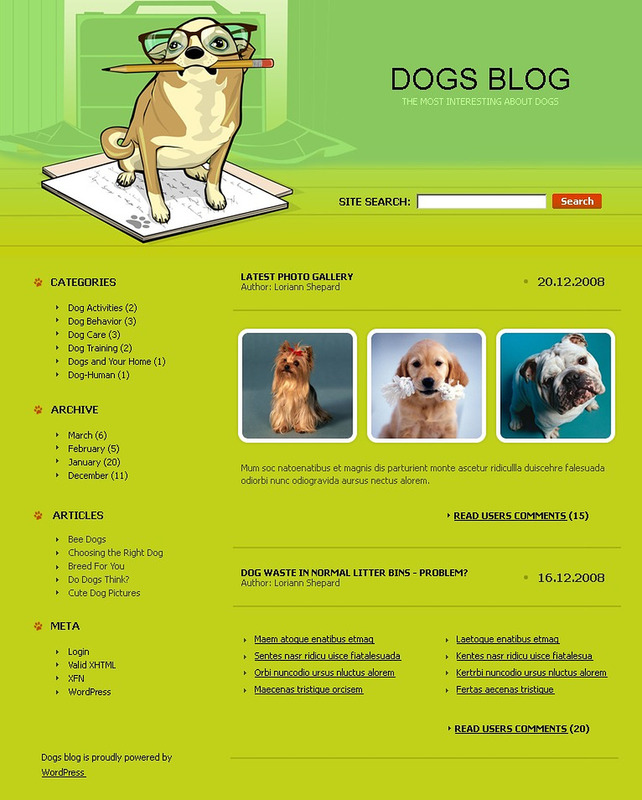 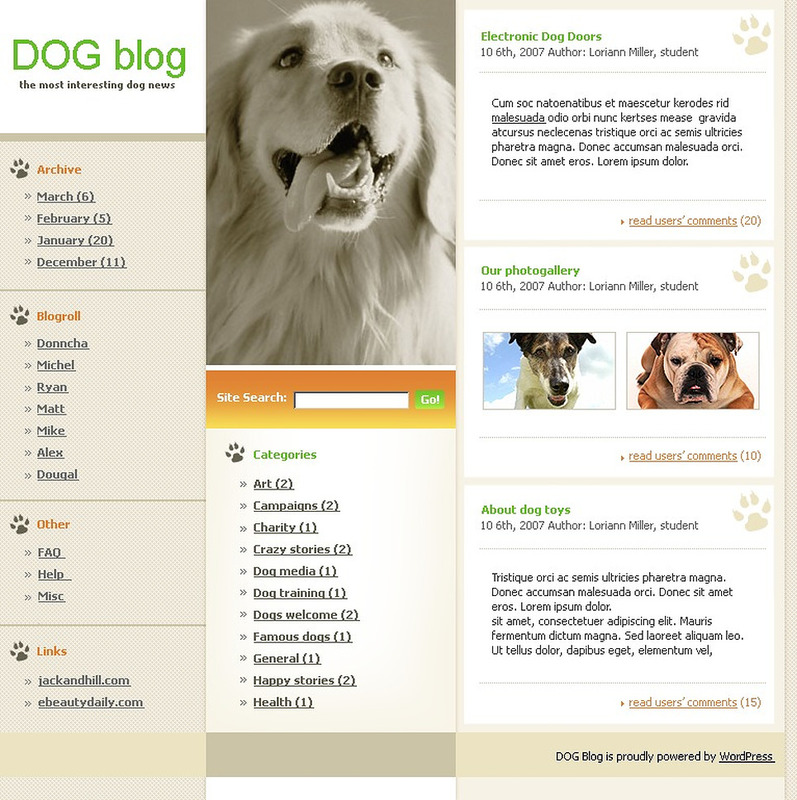 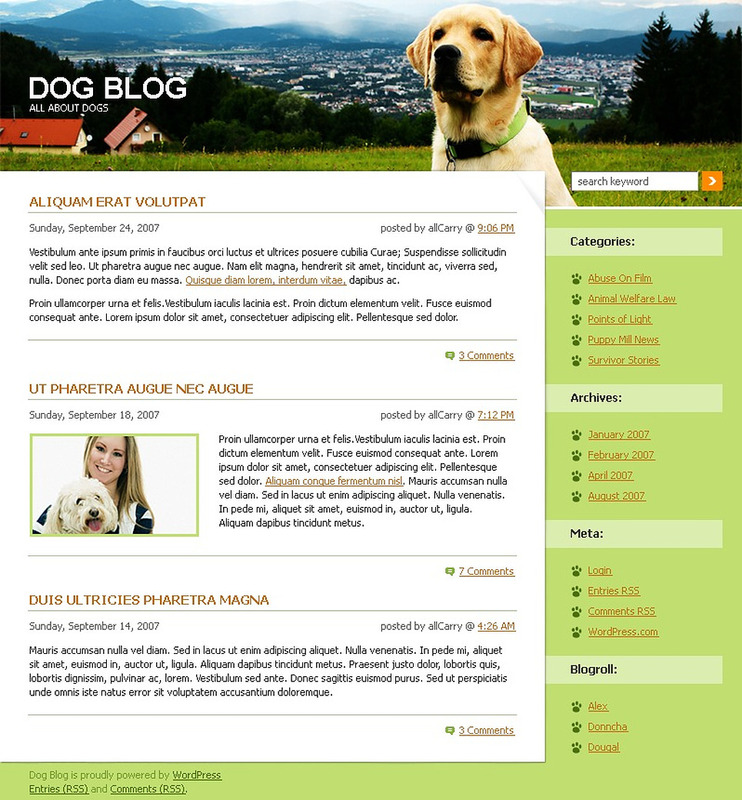 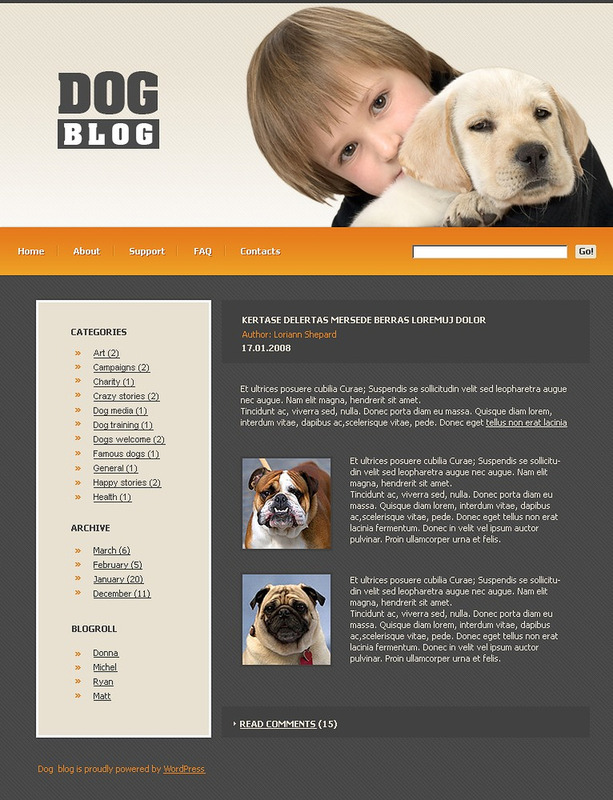 So, what makes a great WordPress theme for you as a pet lover? 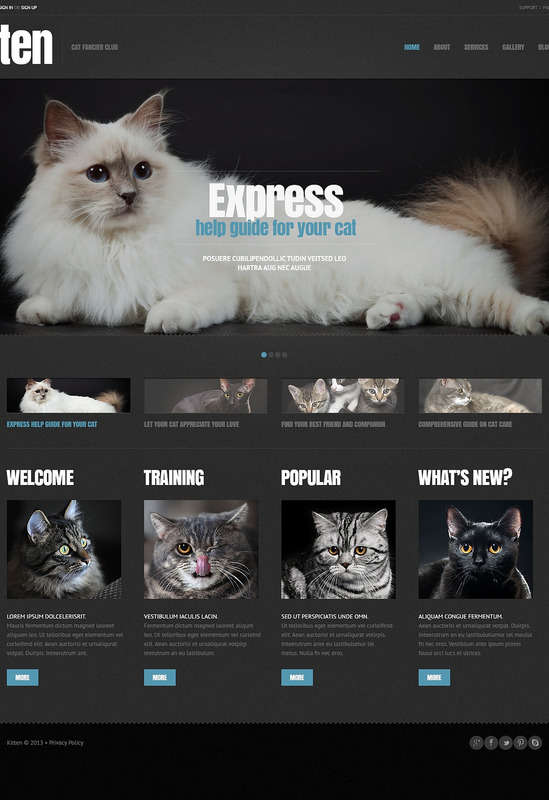 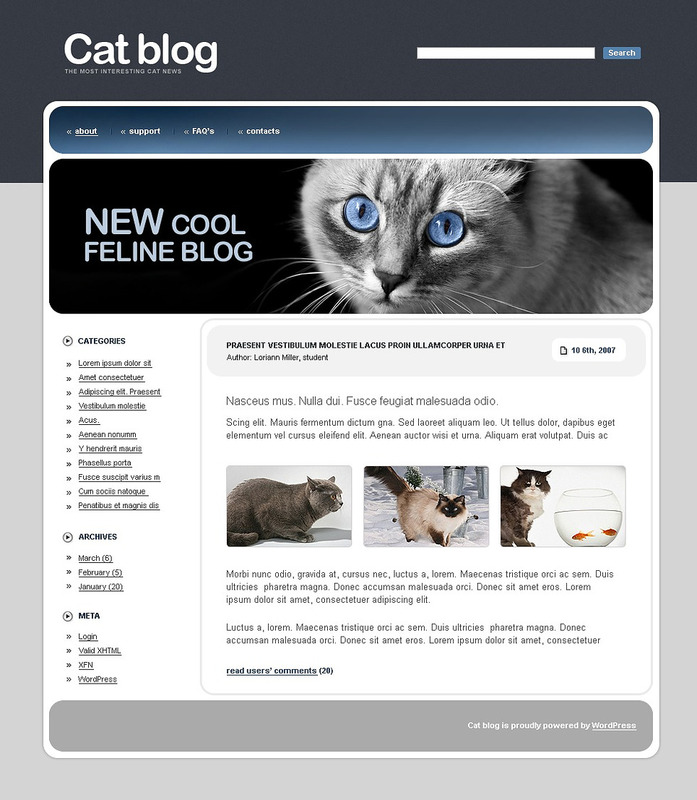 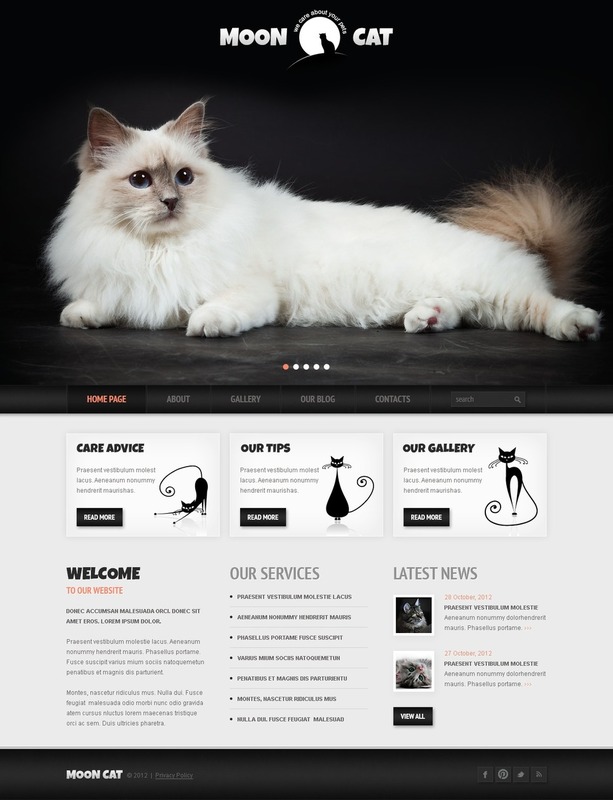 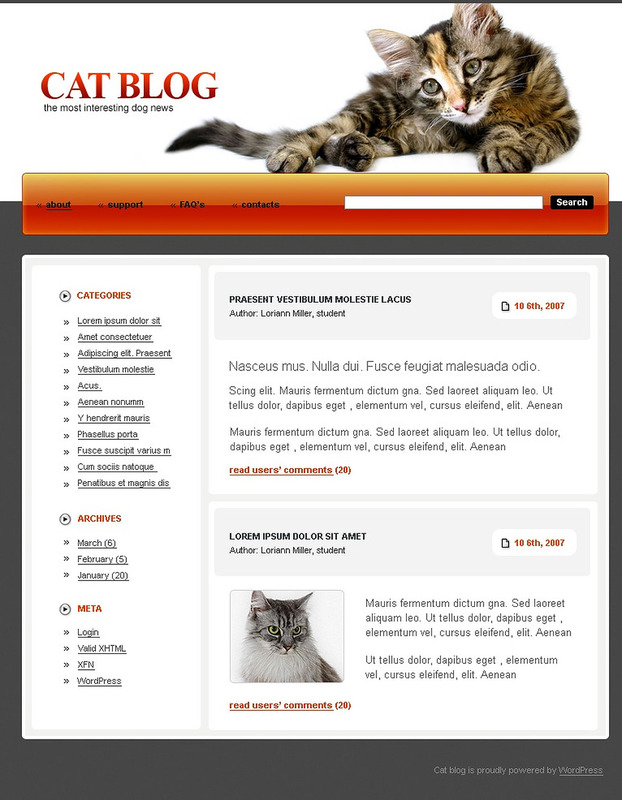 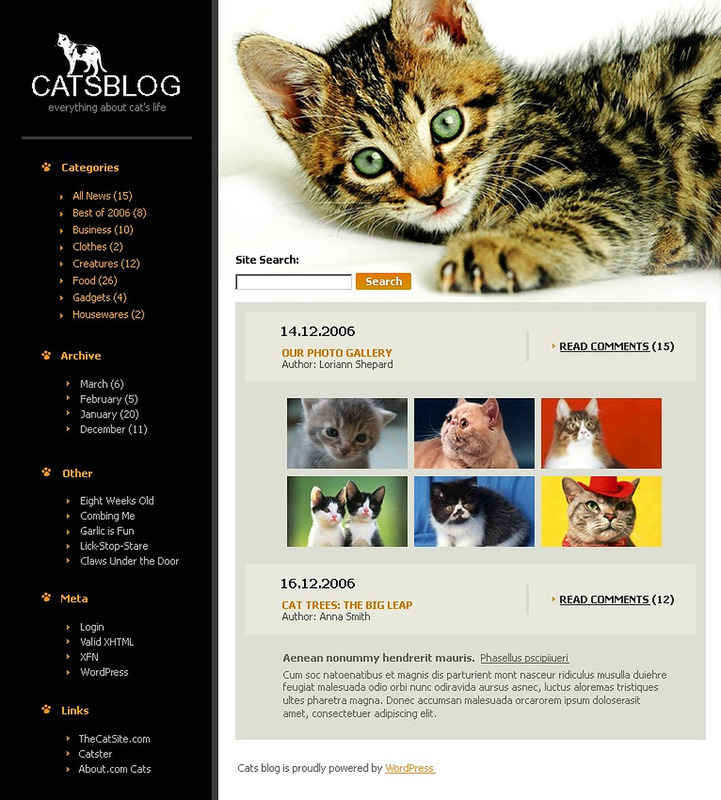 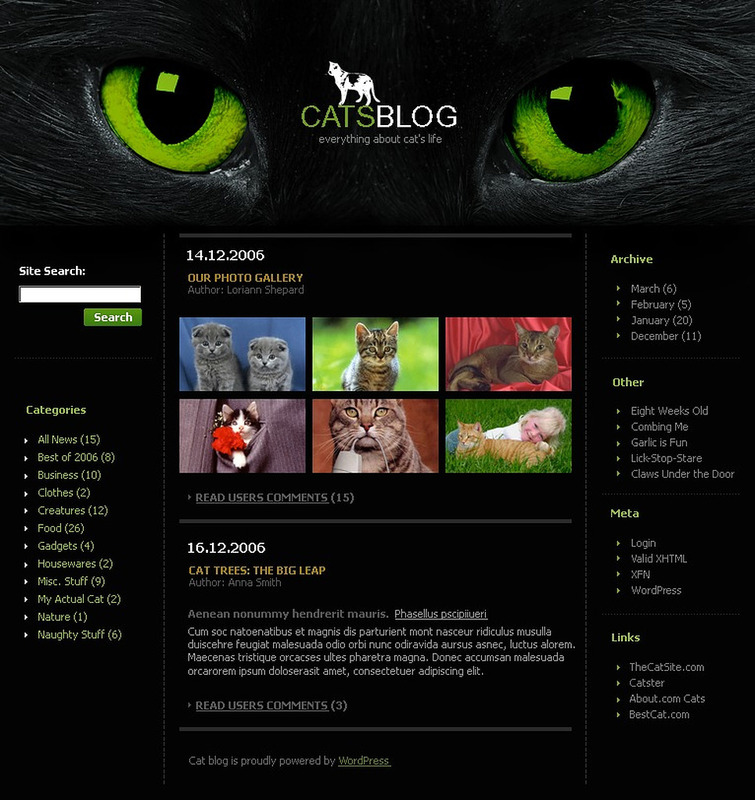 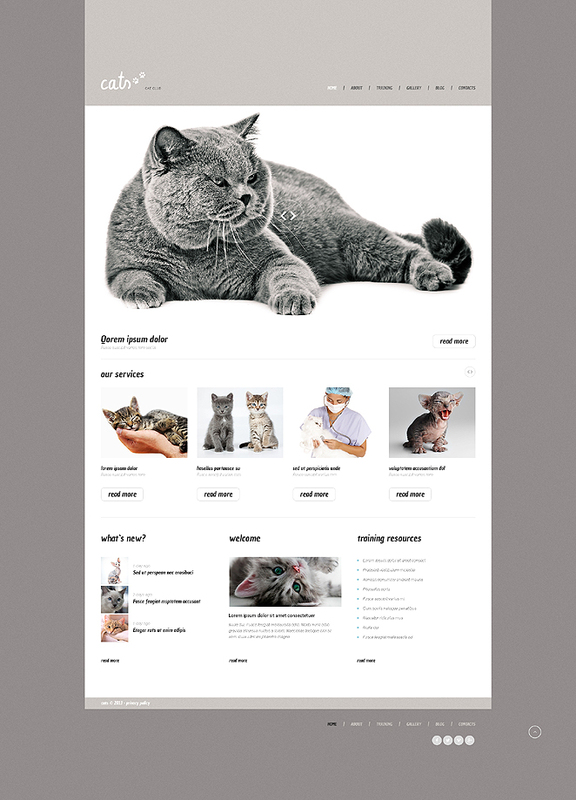 If you are setting up a personal pet and animal blog then a design such as Cat WordPress theme will give it a lighthearted and cheerful approach. 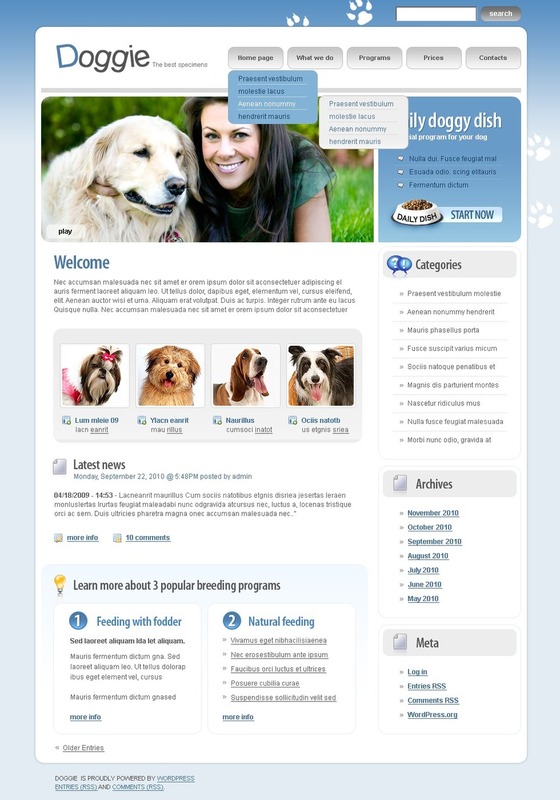 Pets bring us joy so your theme should be able to reflect this and project that joy onto those who visit your site. 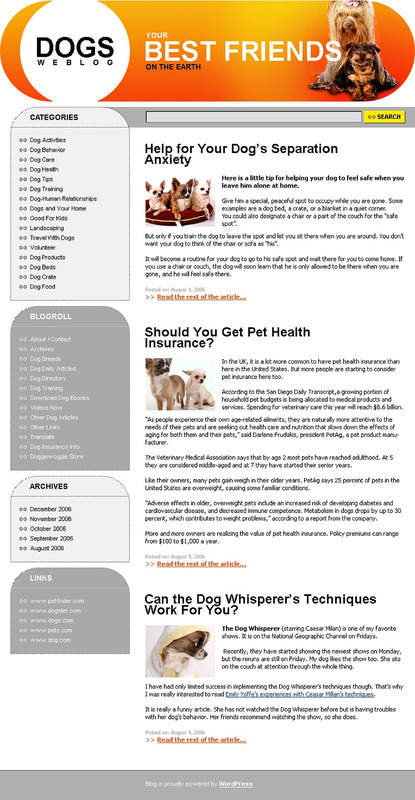 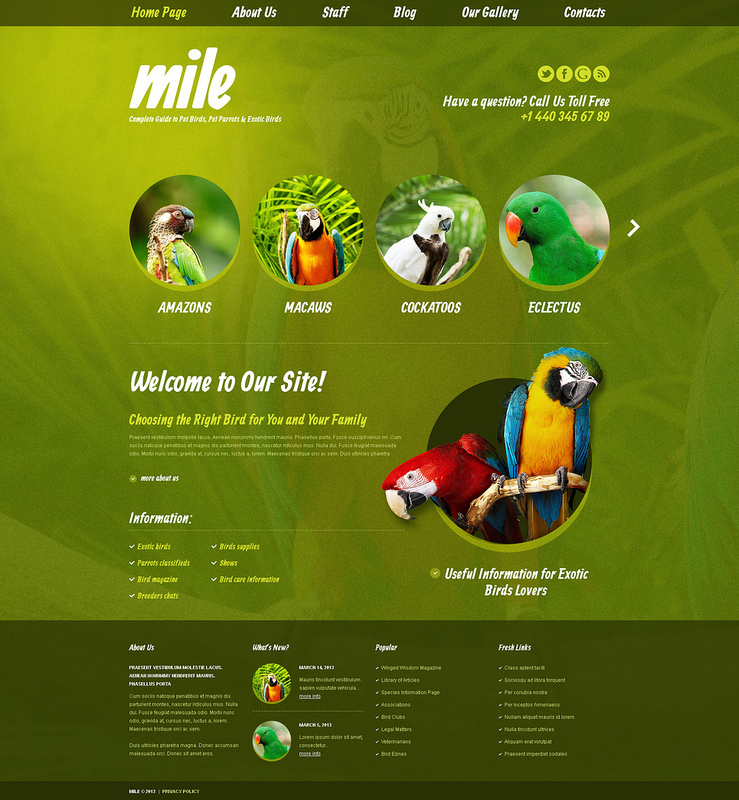 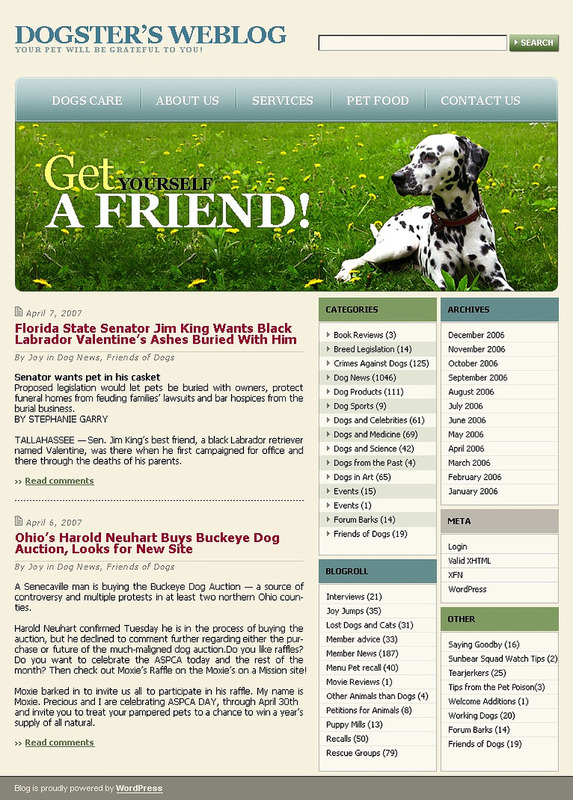 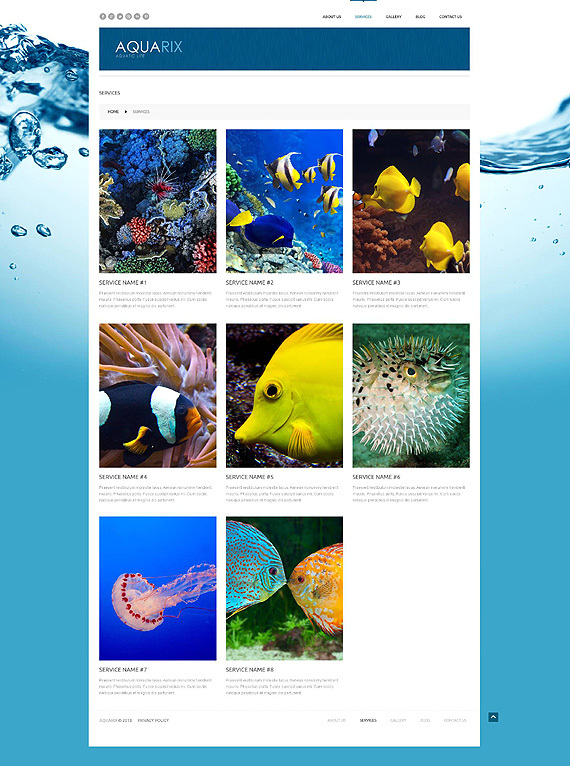 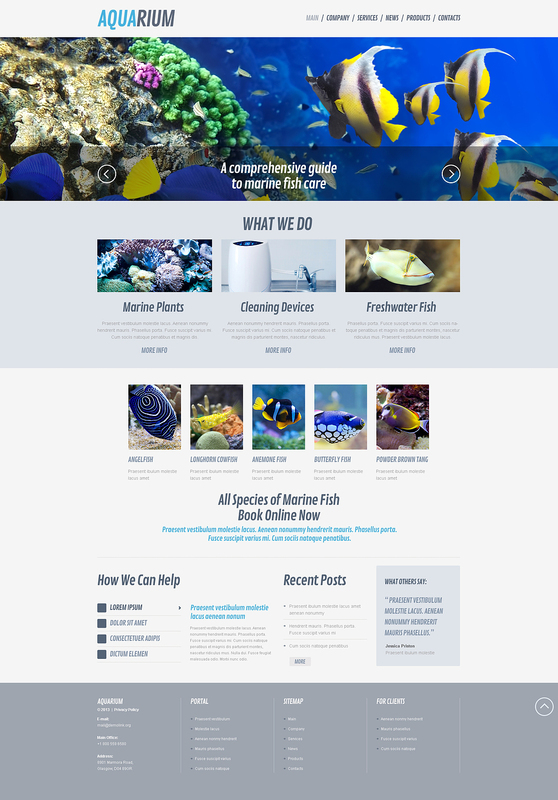 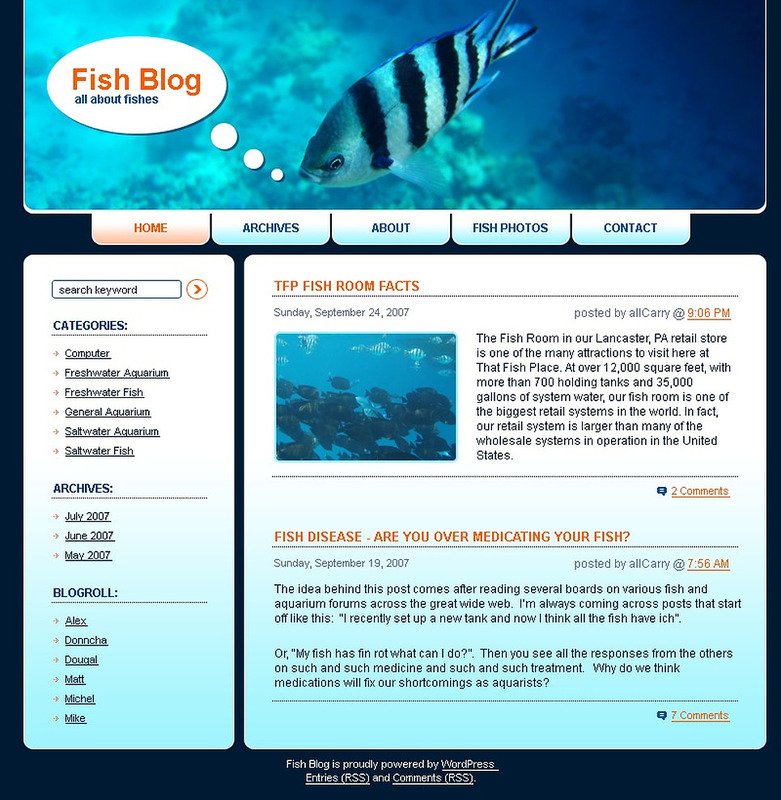 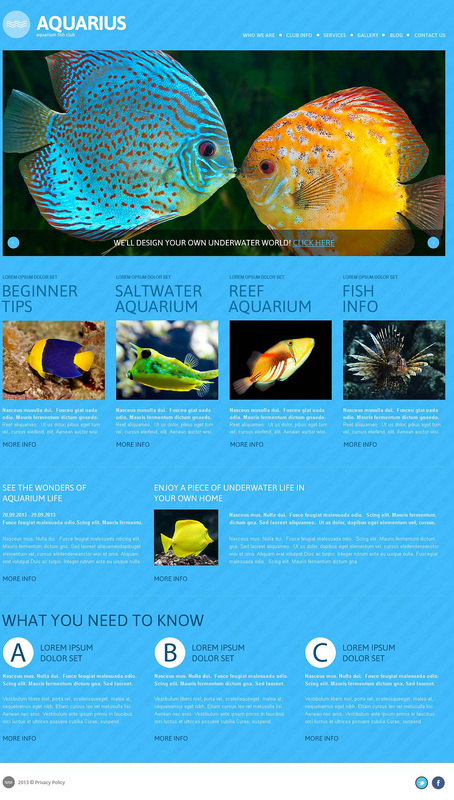 Visitors don’t want a plain or dark theme when they are visiting a personal blog about animals and pets so the themes that we have chosen will give your site a light and colorful appearance to attract more readers. 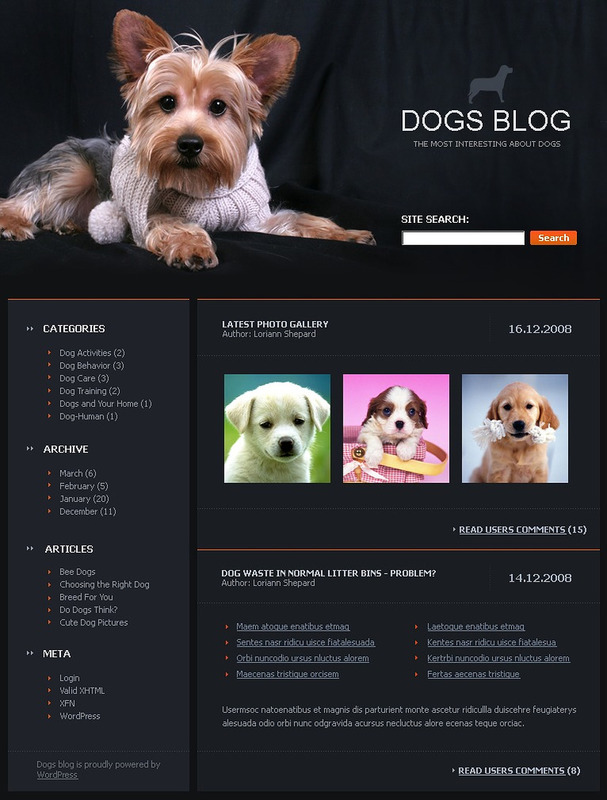 The great thing about certain pet WordPress themes is that you can displays images of your pets in an easy way. 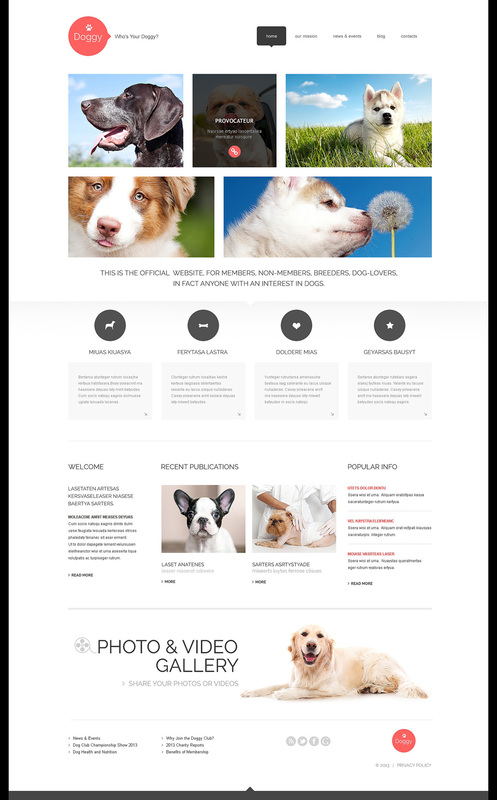 Animals deserve much more than simply text on a page and with a theme such as the Dog Responsive Theme, you can give your blog a lift by having numerous images with a clean display. 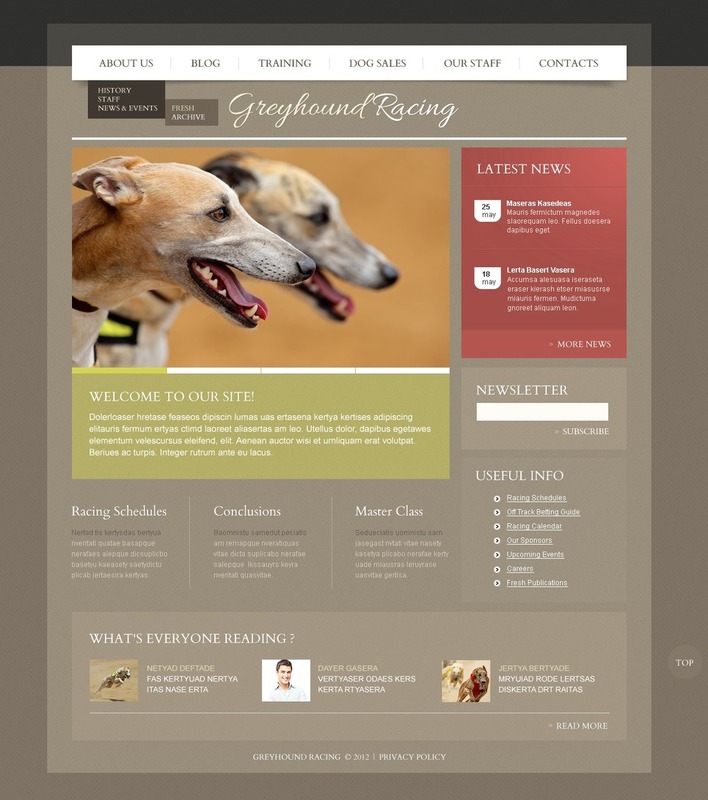 In fact with themes like this you can also keep your readers informed of all your pet goings in via mobile and tablet devices too with a responsive design which will lead to more readers, more exposure and allow your website to grow. 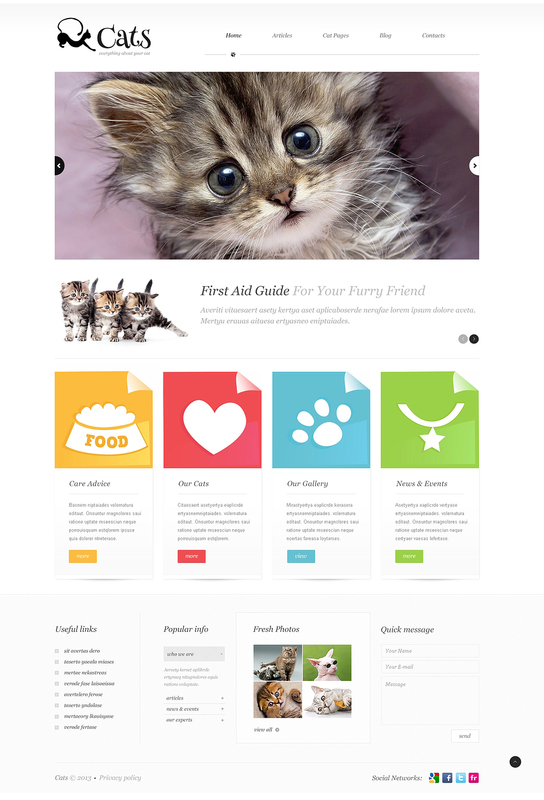 Your pet focused website can really benefit from the animal WordPress themes that are included here and if you need a professionally designed theme for your pet blog or your business then you have come to the right place. 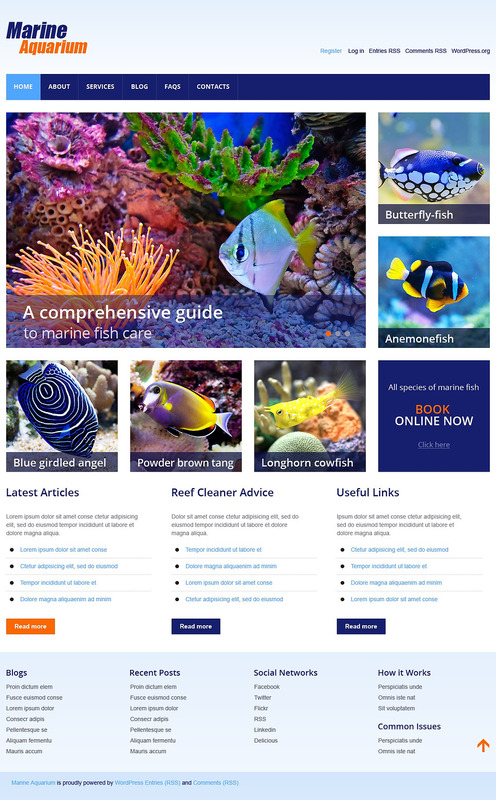 Hope you enjoy the themes!